In an interview with Cliff & Puck on Radio row. 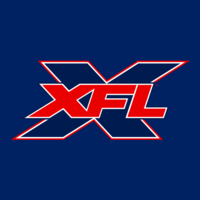 XFL Commissioner Oliver Luck stated that The Seattle team name has been selected but joked that he would have to shoot Cliff and Puck if he told them what the name is. The hosts told Luck to make sure the name is not The Seattle Kraken. A name that is supposedly a popular city choice for Seattle’s upcoming NHL team. I believe all the team names are now selected, and the league is preparing for a launch in March. In the meanwhile they are getting logos and colors prepared and getting ready to produce merchandise. It takes time. Lover of the game, and looking forward to Spring football. Reporting on the Seattle XFL franchise and the league in general. I just hope the team names are better than the AAF's. Nothing against their names, but some like the Legends are boring. Also I hope that they come out with all the names and stuff at once so that people can pick their teams as soon as possible. Waiting another month to pick a team can hinder the building of fanbases to a degree. I think mid-March before March Madness the team names will come out. Also I think the names will "leak" like every other announcement they make. I think the names will "leak" like every other announcement they make. In 2000, the leaking of the team names by "XFLFAN" lead to outrage toward the proposed name "Birmingham Blast", because of historical bombings in Alabama. This allowed the league to quickly change the name to "Thunderbolts", as it fit the logos they had prepared. I hope you aren't the same "XFLFAN" that was chastised in that 18-year old article? If so, I apologize. I don't expect this version of the XFL to be so careless, however when the names leak the XFL can gauge the response and act accordingly. Last edited by mnelson on Wed Feb 13, 2019 2:05 pm, edited 1 time in total. I don't expect this version of the XFL to be so careless, however when the names leak the XFL can gauge the response and at accordingly. What a flashback. The Blast controversy. I see some fans suggest Wildfires for LA and Hurricanes for Houston. Cool sounding names but those would never fly in today's world. On the flip side, I think a name that referenced things like that in a respectful way would be applauded. Like "Hotshots" in the AAF. Something like that would've been perfect for an LA team.